For some it is very difficult to understand why someone acts the way they do. How come he or she isn't doing the right thing? Who made him or her the boss of me? Why can't I get a break? Good questions, but questions of judgement and faithlessness. When we can understand our mission. When we can understand the path that God has us on, these things may pop up now and then, (mostly when we are at our lowest and the enemy takes advantage). However, when we know with conviction what path God has for us, there is no doubt. One thing to keep in mind, that path isn't going to be easy. There are lessons to be learned along the way. Most have to deal with giving up self. Not being judgemental and having faith. Sounds simple enough. It isn't. We are men and women who have been given a chance to be saved over and over again. This time through Jesus Christ. Take each day as it comes. Dream big, yes. Remember God's plan for us is so grand we couldn't even fathom it. Get up each day thank him for who you are, where you are, and where you're going to be. Stay in faith. Cast out the evil spirits. Ask for forgiveness and keep it moving. Wisdom and Understanding are priceless. 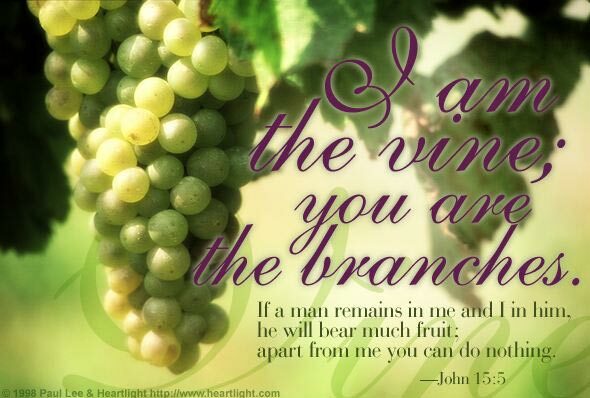 John 15:5 "I am the vine; you are the branches. If you remain in me and I in you, you will bear much fruit; apart from me you can do nothing.